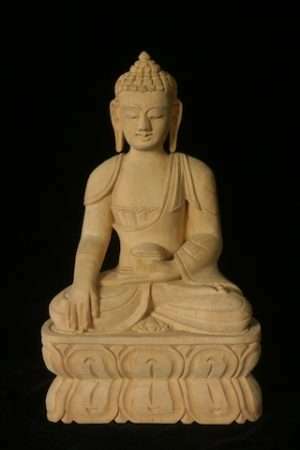 The Five Buddha statues represent the Buddhas of the Five families of Lotus, Karma, Buddha, Vajra and Jewel Buddhas. 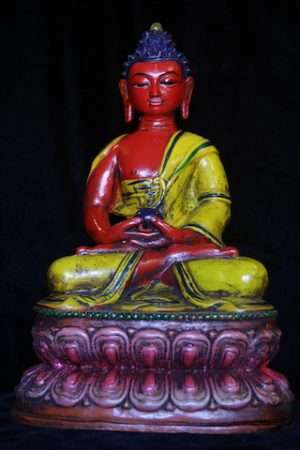 All are essentially aspects of the one Primal Buddha. 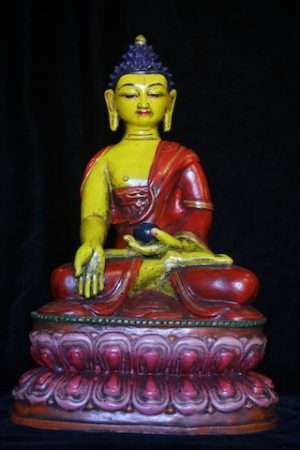 The Five Buddhas often appear at the top of thangkas. 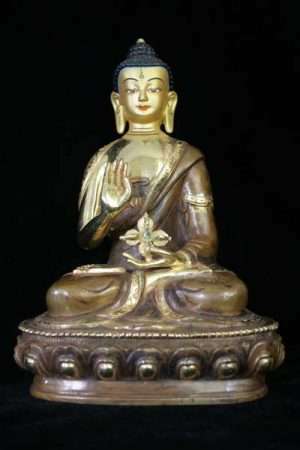 The Five Buddhas also appear and are arranged in Mandala form. 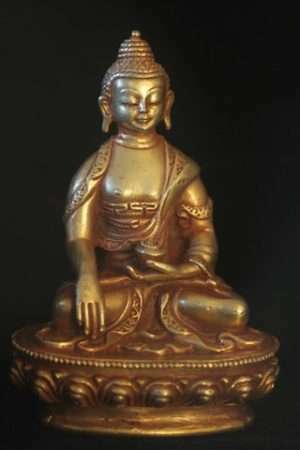 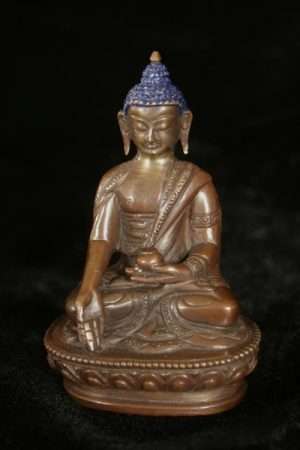 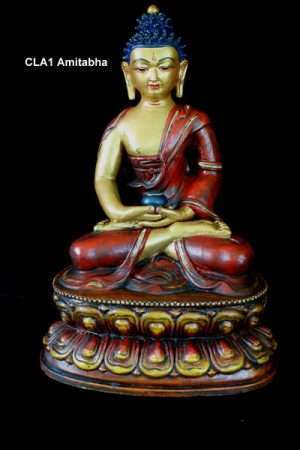 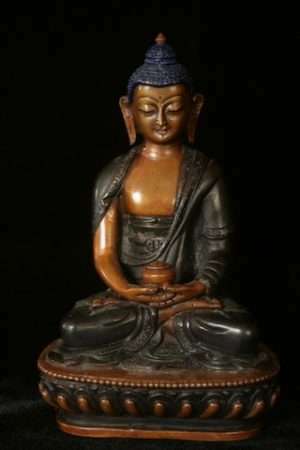 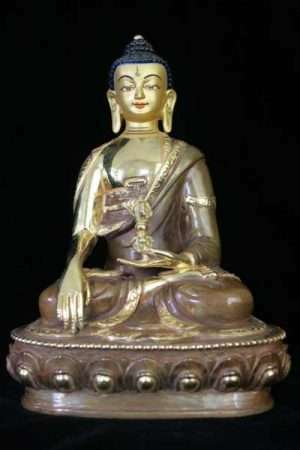 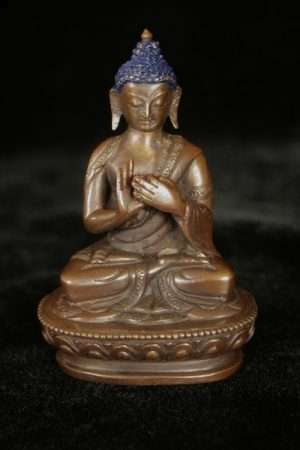 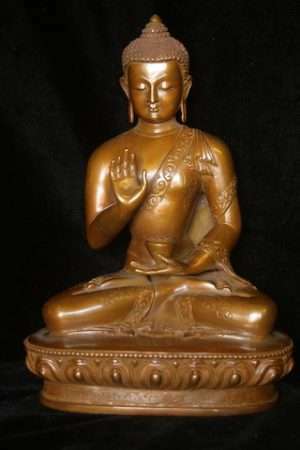 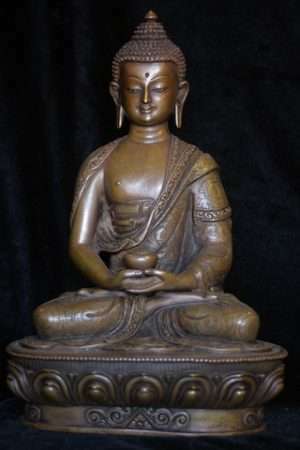 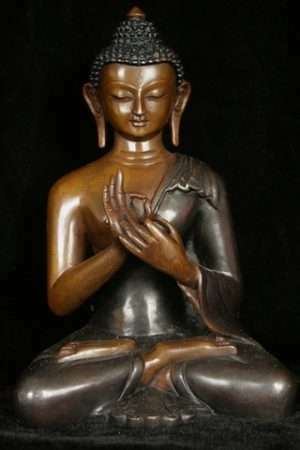 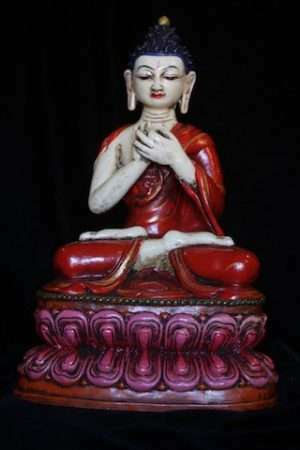 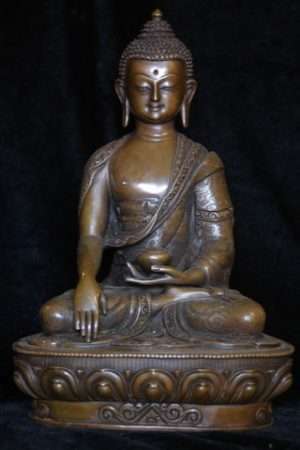 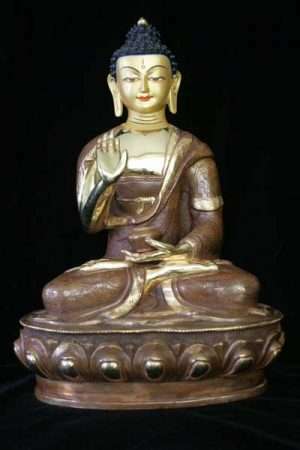 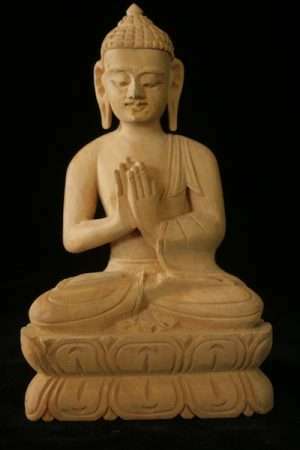 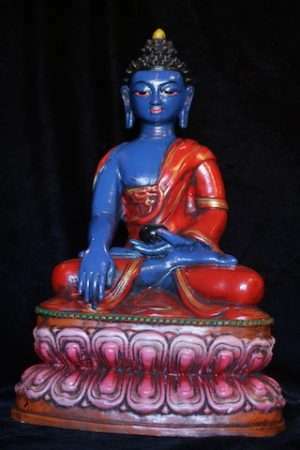 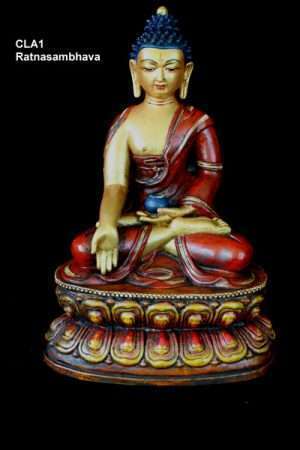 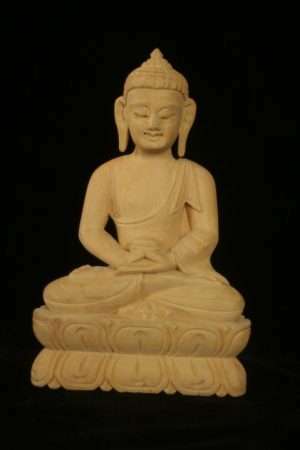 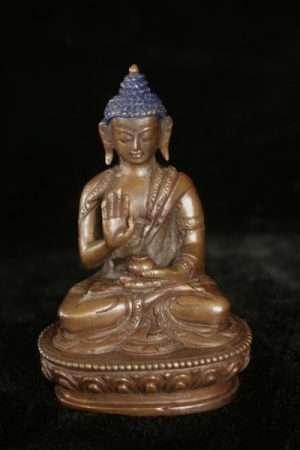 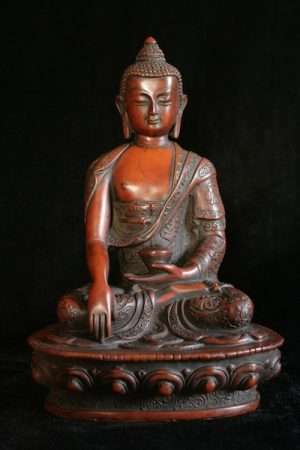 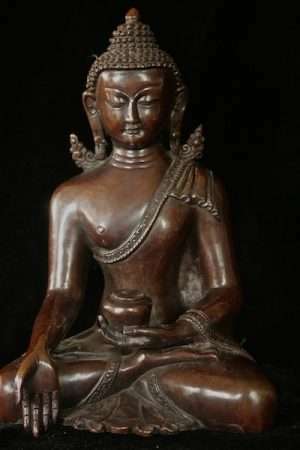 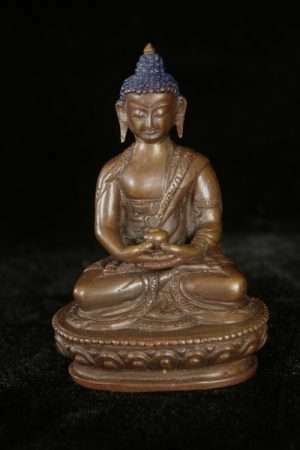 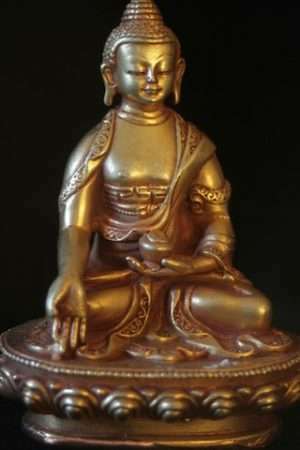 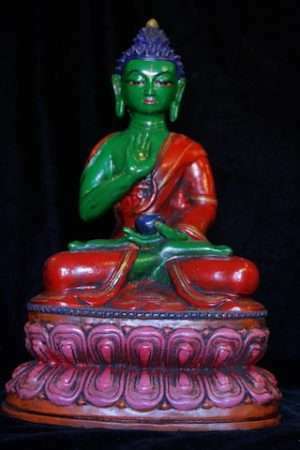 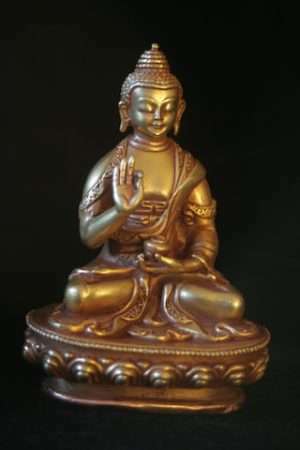 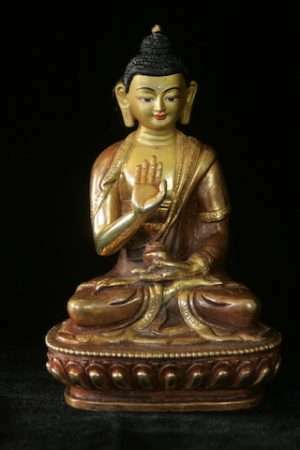 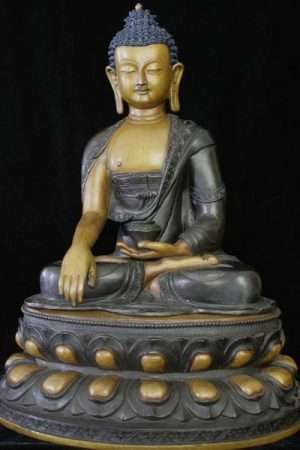 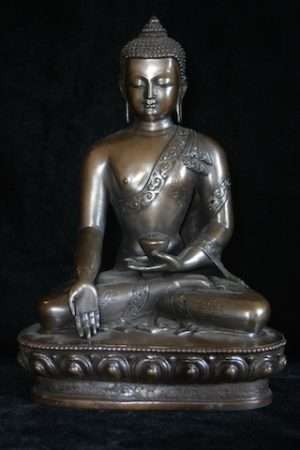 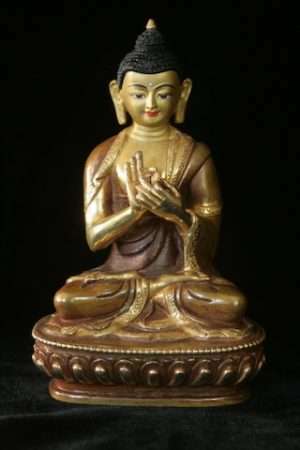 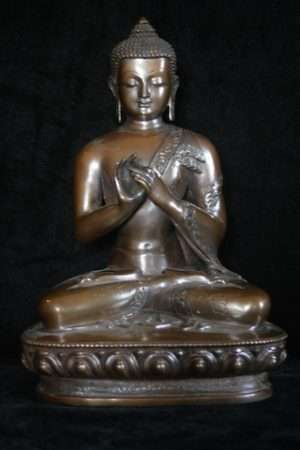 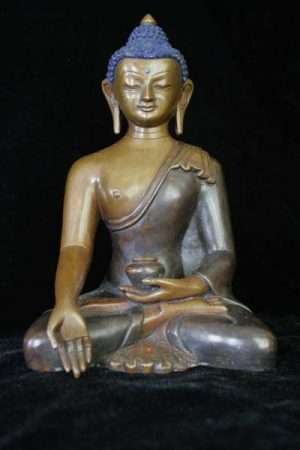 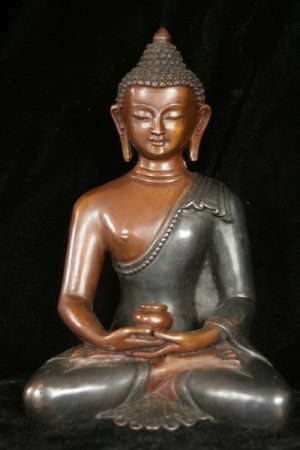 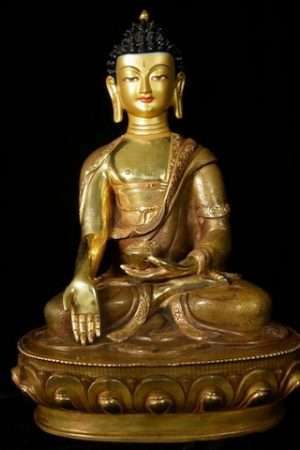 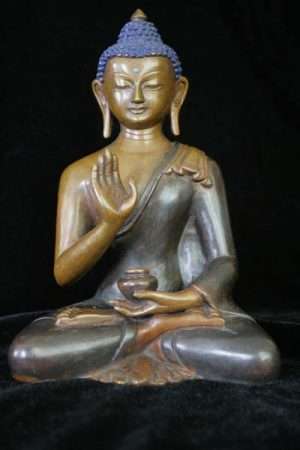 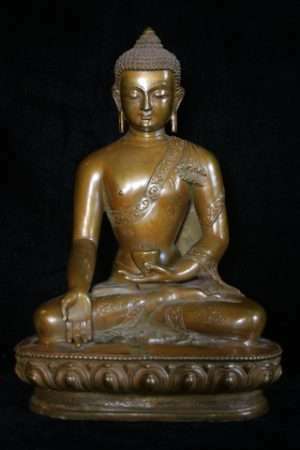 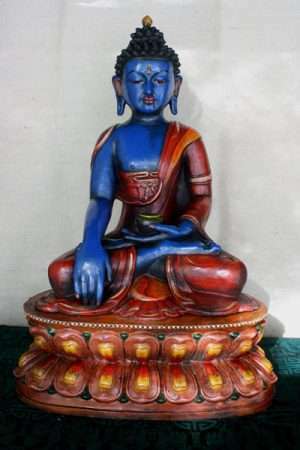 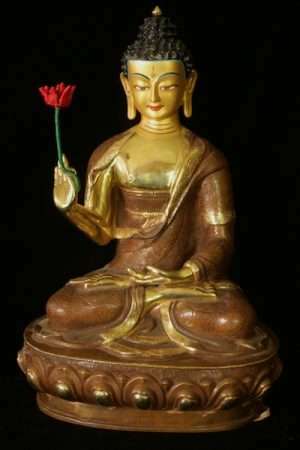 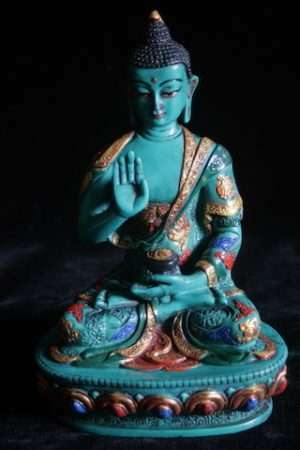 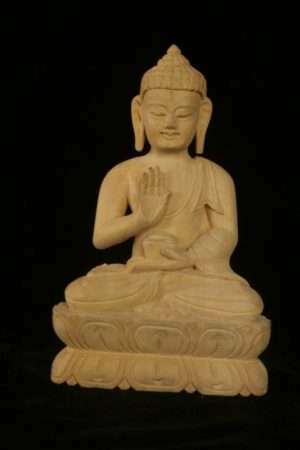 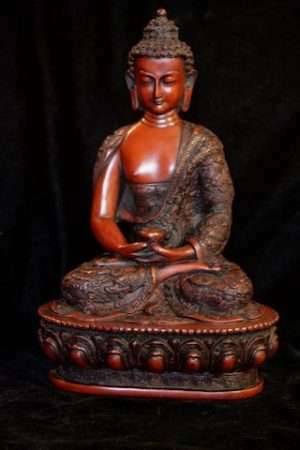 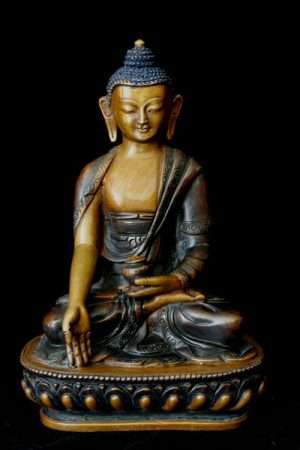 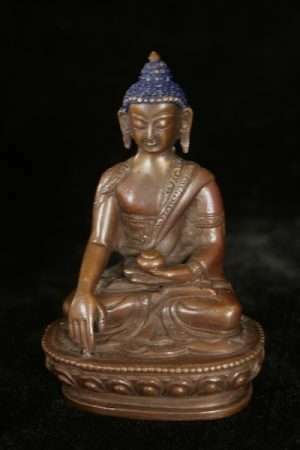 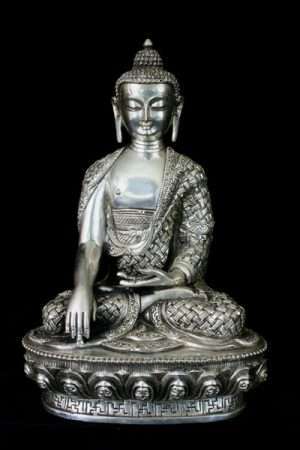 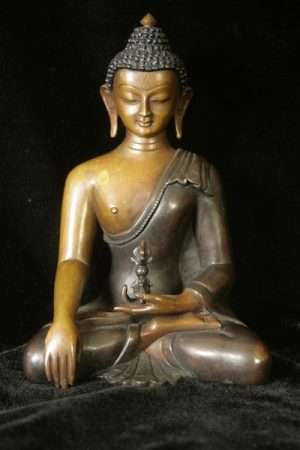 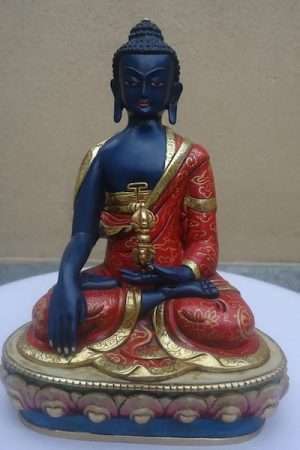 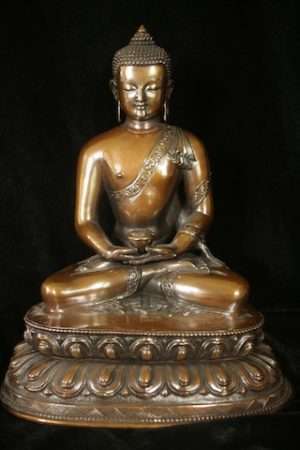 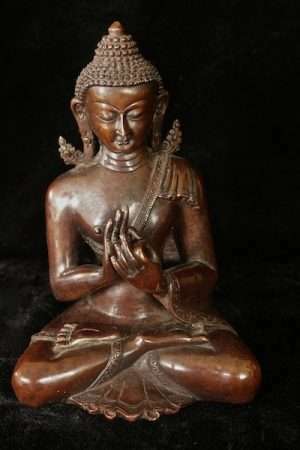 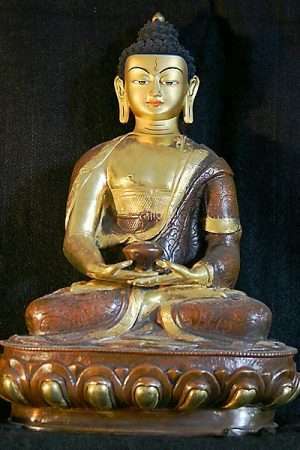 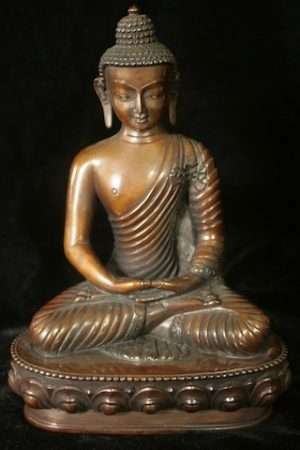 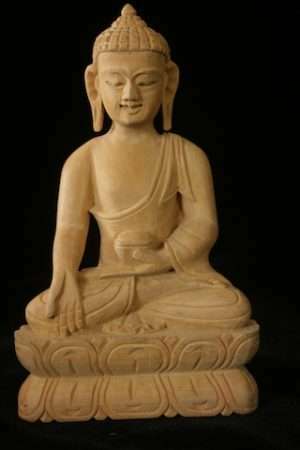 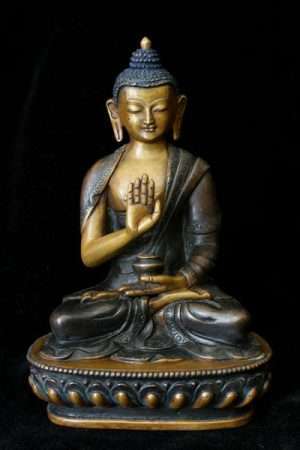 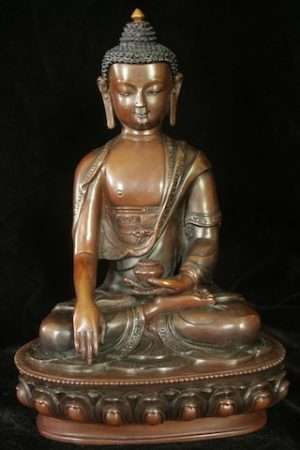 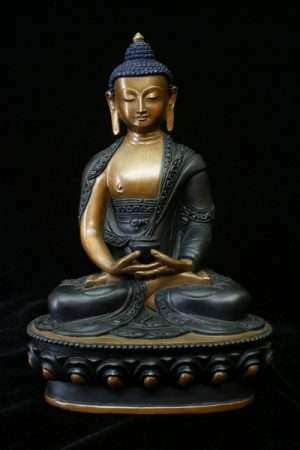 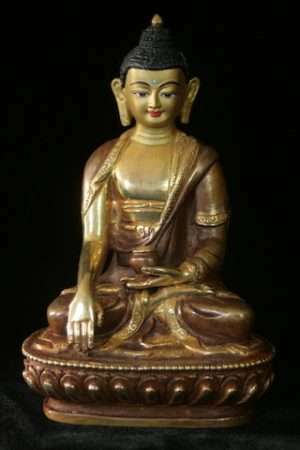 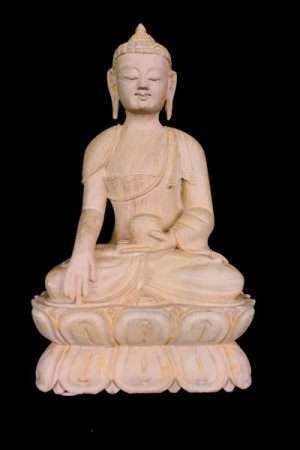 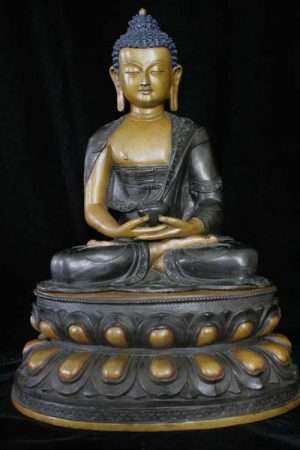 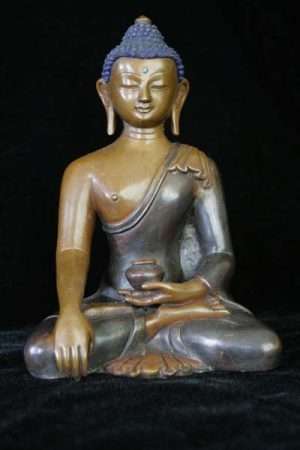 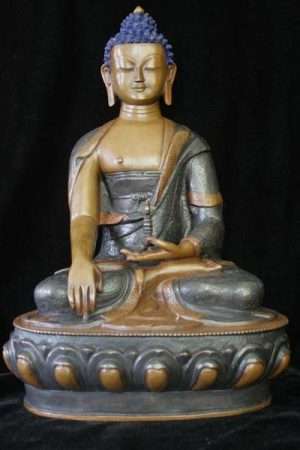 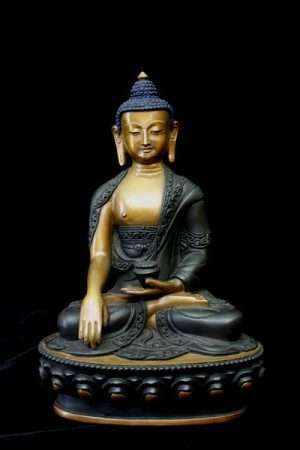 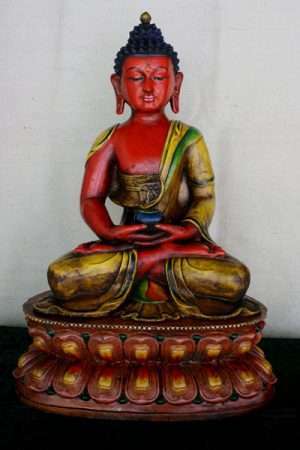 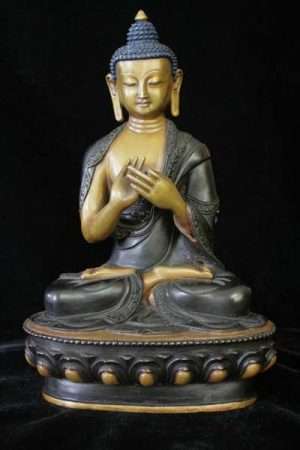 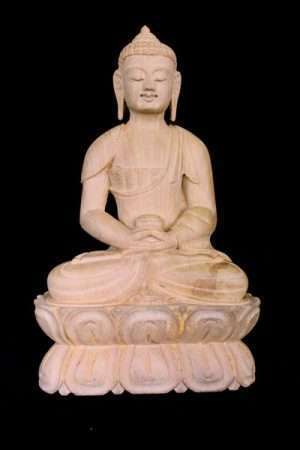 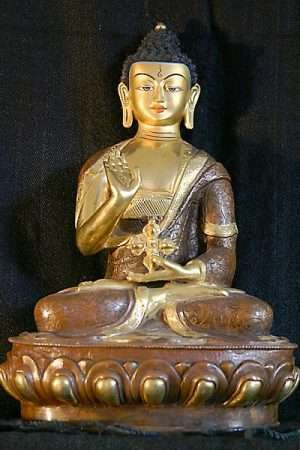 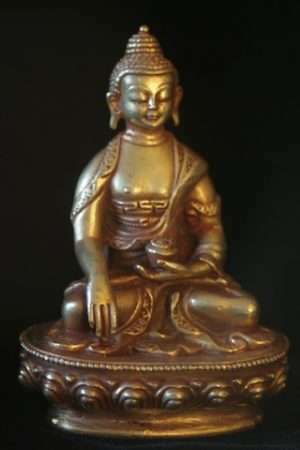 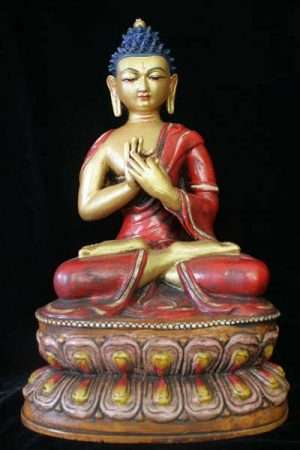 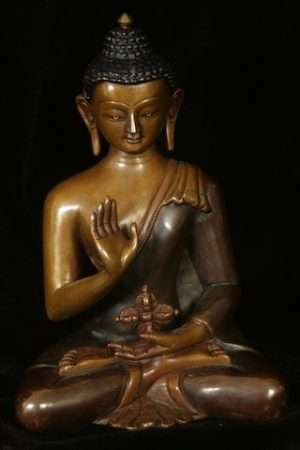 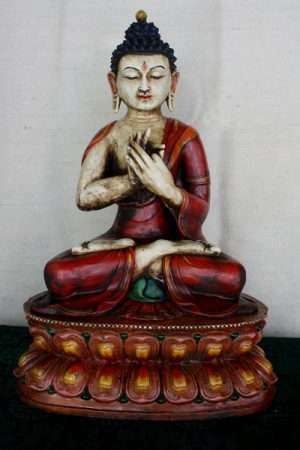 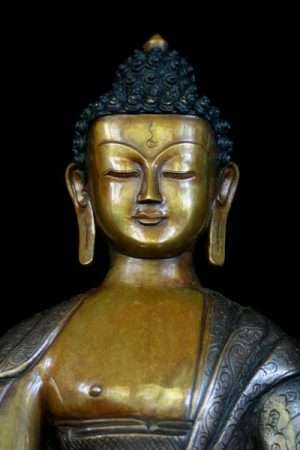 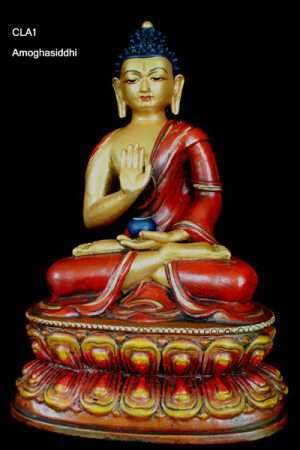 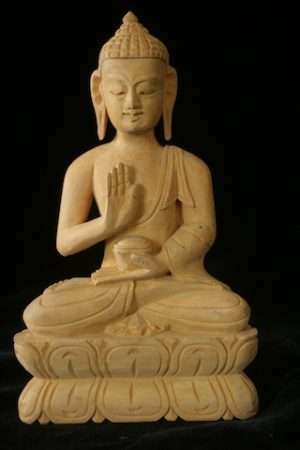 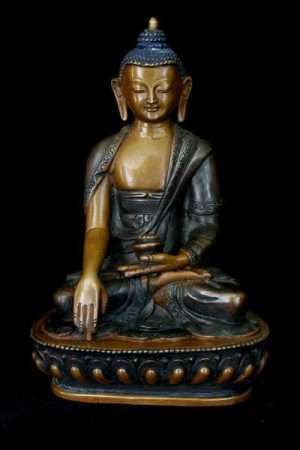 The Five Buddha statues are very common individually as Amoghasiddhi, Amitabha, Vairocana, Ratnasambhava and Akshobya.